Chapter 7, the most common form of bankruptcy, involves liquidating the assets of the person who declared bankruptcy and distributing the money among creditor. Some of the assets fall under exemption categories. Filing for bankruptcy under Chapter 7 will usually give you a fresh financial start. The downside? You will have a bad credit history, making it very difficult to obtain a credit card or any kind of loan after being discharged as bankrupt. But you will need to put some work into it and obtain credit, because that remains the only way to rebuild your credit history. These guidelines for obtaining credit after a Chapter 7 bankruptcy can help you get back on your feet financially. Apply for a secured credit card. You will need to make a down payment to the bank and will receive a credit limit not greater than that upfront payment. The down payment guarantees that if you do not make the payments, the bank will have the ability to deduct the money. Some secured credit cards have the option of switching to an unsecured account after a number of months. You can do this only if you make your payments on time. This will also help with rebuilding your credit history. Credit card companies might agree to give you a credit card with a low limit—no more than a couple of dollars. This might seem useless at first consideration, but you can gradually raise this limit if you make your payments on time. Organize your budget carefully and make your payments on time. It also helps not to go over 50 percent of your credit limit. This will help you boost your credit score and make you appear more credible in the eyes of the creditors. Contact the three main credit bureaus. Write to Equifax, TransUnion and Experian to let them know that you now make your payments on time and keep under your credit limit. Contact them yourself because not all credit cards report to all agencies. By keeping them informed you will have better chances of getting a loan approved. After you’ve taken some of these steps, start by applying for a small personal loan. Contact your bank or your credit union and discuss securing a loan from them. 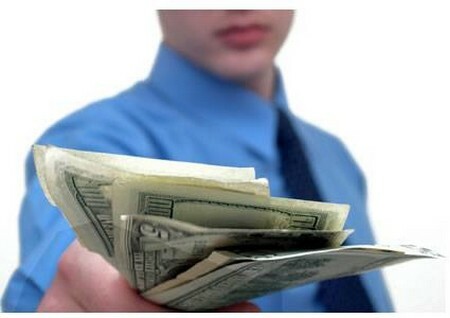 Be patient and don’t apply for many loans at a time, as this might affect your already bad credit history. Remember the mistakes you’ve made in the past that led you to bankruptcy and don’t make them again. You might find it tempting to accept offers of pre-approved credit cards, as bankrupt people usually receive many such offers. It is not a mistake to get a pre-approved credit card, but take extra care with noting how high the interest rate will be and the fees the company will charge along the way, such as annual fees, monthly fees and so on. Read contracts very carefully before accepting any tempting offer.